Traveling in Europe can be very exciting for the tourist but can also pose a challenge for the photographer – especially Northern Italy. There has been much written for those who travel throughout Europe, including things-to-do at the various ‘tourist’ locations. The purpose of this brief article is to supplement this information and to provide guidance, plus a few tips and techniques, geared toward the photographer that includes ‘thinking out of the box’, so to speak. 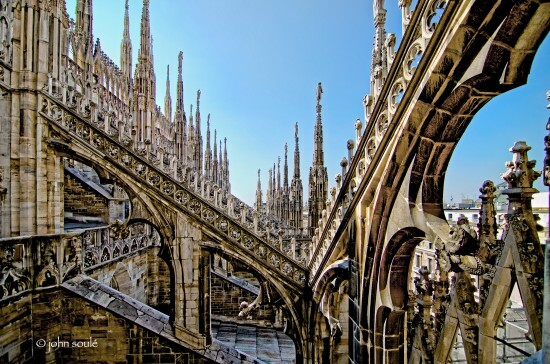 This region of Europe, situated between the Alps and the Mediterranean, offers a wide variety of wonderful things to do for the traveler and a wealth of opportunities for the photographer to showcase creativity. And, to capture some of those ‘iconic’ shots can take a little extra effort but that effort can go a long way. What subjects will I be shooting? Where is the best shooting location for each subject? What time of day is best for each subject? The more answers you have, the better prepared you will be. And your images will show it. 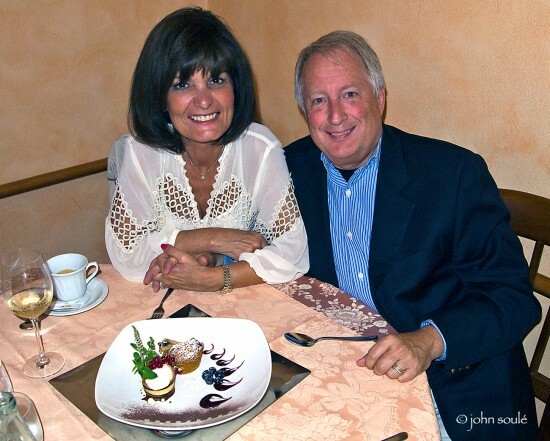 When my wife and I decided to visit Northern Italy, we were drawn to the beauty and central location of Lake Como – less than 1/2 hour drive north of Milan. To the west was the Swiss border and the Alps. 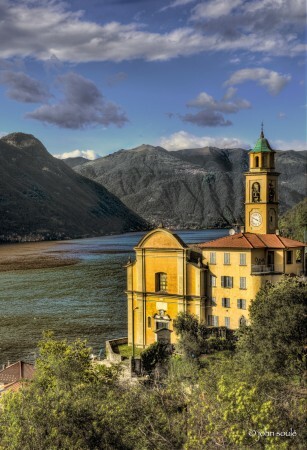 And to the east was Venice and the Mediterranean – all within a morning’s drive or train ride from Como. 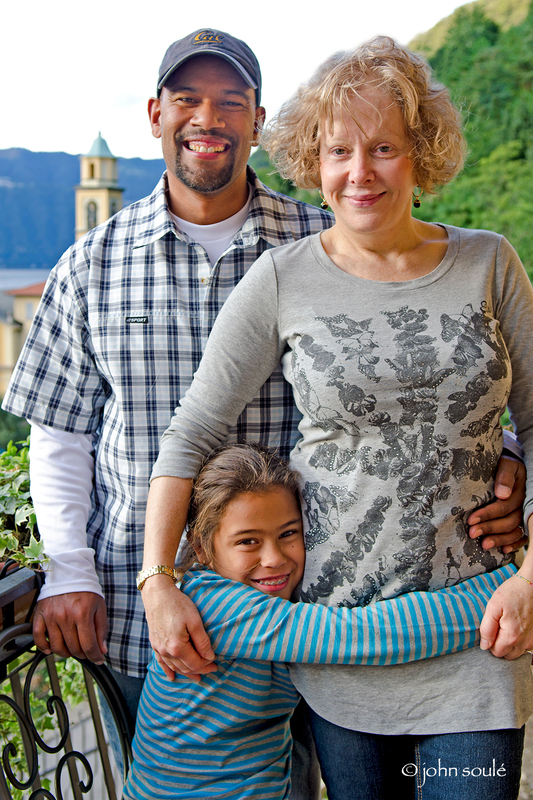 We considered our options for lodging – book a traditional hotel room or rent a villa. We read many of the reviews on Trip Advisor and HomeAway for recommendations in terms of personal property rentals (villas). We wanted to be on the eastern side of the lake for a better morning view of the hillsides and to have close proximity to Bellagio (transportation hub or both ferry and train). And, we wanted an unobstructed view of the lake. 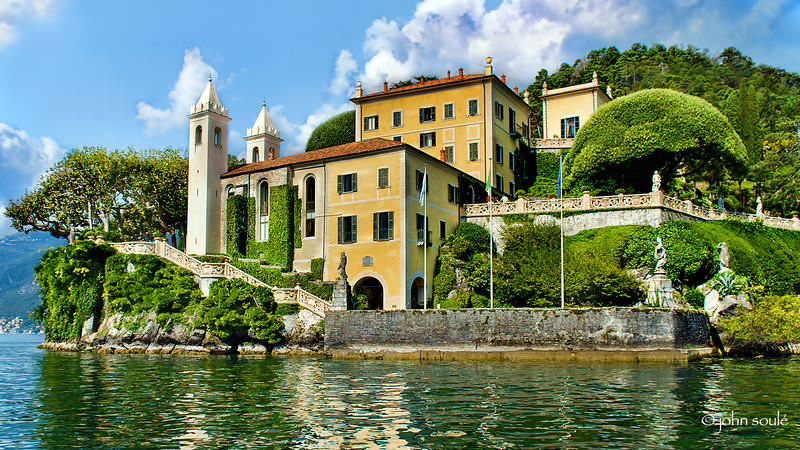 We found that Villa Gabriella, part of the Lake Como Beach Resort and owned and operated by Eric and Robin Arcio, met all of our requirements. Not only did we find them to take a special interest in seeing that we were satisfied with our accommodations, they also helped us make arrangements for the ‘things-to-do’ in the area such as boat rentals, seaplane tours, dinner reservations and the like. Having your host speak your native language really helps in these matters more than you can imagine. Villa rentals can be about the same cost as renting a room in a hotel. And for a real taste of being a local, this is the way to go. [Note: most villas do not have clothes dryers – only clothes washers.] Imagine waking up each morning seeing the church pictured above out of your bedroom window. It doesn’t get better than this. Also check to see if a ‘Guest Book’ is in your room. Quite often other travelers will have made comments about what they loved (or not) about something you might be interested in. One of the biggest challenges for any photographer can be the weather. 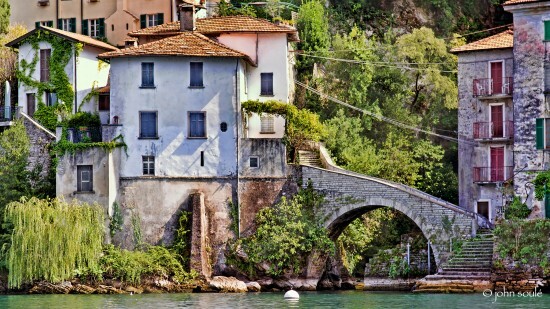 With Northern Italy’s mountainous regions, lakes, pleasant valleys and proximity to the Mediterranean, the weather can be very different just a short drive away. I would highly recommend getting updates on the weather throughout the region on a daily basis. It may be raining in Como and sunny in Bergamo. You should map out options based on the weather for the areas you wish to shoot. Also note that wind will be a factor if you intend on taking a sea plane. Sea Planes often do not go up on windy days. Be prepared to be flexible enough to make last-minute changes to your schedule. How you will be getting around any new area needs to be taken into consideration. You can book transportation provided through travel groups or you can do everything on your own and on your own schedule. As for this region of Europe, there are a number of ways of getting around: by foot; by vehicle; by boat; by train and by plane. 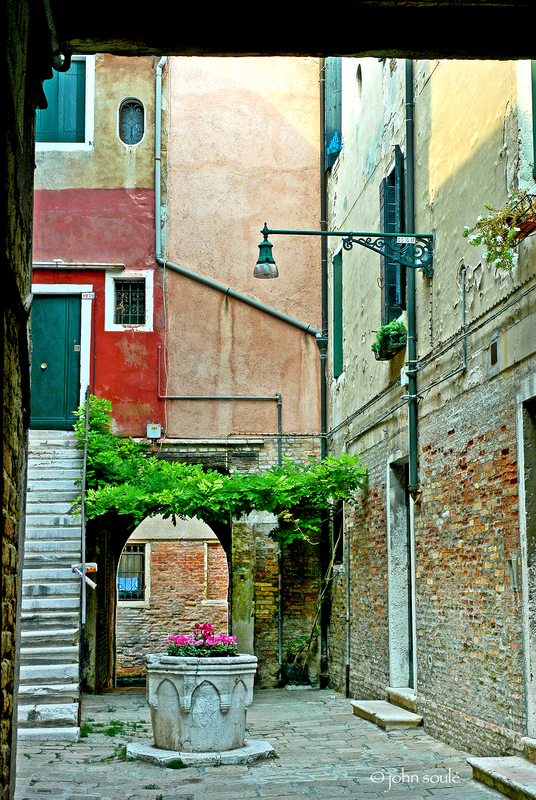 When in Italy, especially in historic towns, you will certainly have some walking to do. 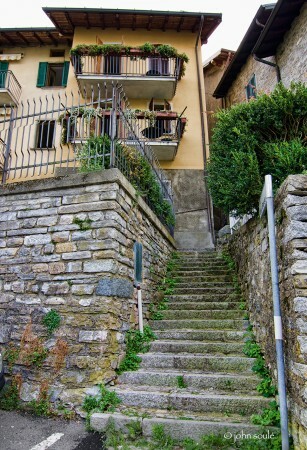 And often up and down stairs or winding paths of stones. Parking is often very limited – if allowed at all. Many of the roads were just not designed for motorized transportation – and it shows. One thing is for sure – there are plenty of steps everywhere in Italy. You most certainly will need comfortable shoes at all times and need a comfortable way to carry your gear. Heavy backpacks are discouraged. Some of the best location shots are made by just walking around, finding unique angles, and capturing wonderful old world colors and charm. By being on foot, you have the freedom to explore at your own pace – which is a very good thing. The photographer should be prepared to carry only what is needed. Here the ‘walk-around’ lens can be a big help as well as an ultra-wide angel lens since you may find yourself in tight locations. Check to see if a funicular is available to take you to high points for some of the best views of the surrounding area. A funicular is like a cable car that rides on a track up/down step slopes. The ride is inexpensive and both the view and convenience are unparalleled. You may note that I did not say ‘by car’. For most of us the most traditional method of getting around is by car. However, the roads in many of the small towns are very narrow and result in driving and parking to be most challenging. You can always hire a driver – but that can become expensive. My suggestion is that you rent a small car and take your time getting around. 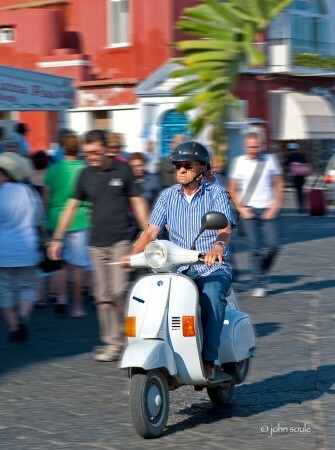 You will also find that locals use Vespas, motorcycles and bicycles and will be sharing the road with you. 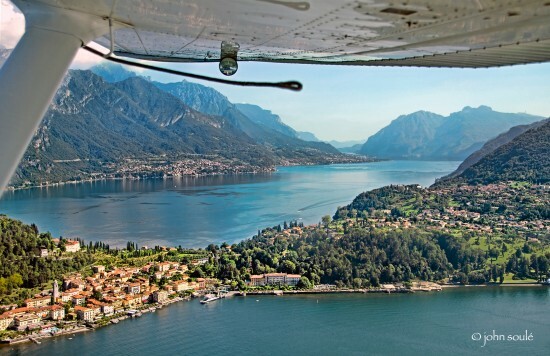 Traveling around the lake regions, such as Lake Como, you have the option of traveling by Ferry, taking a private tour, or renting a motorboat and travel on your own. 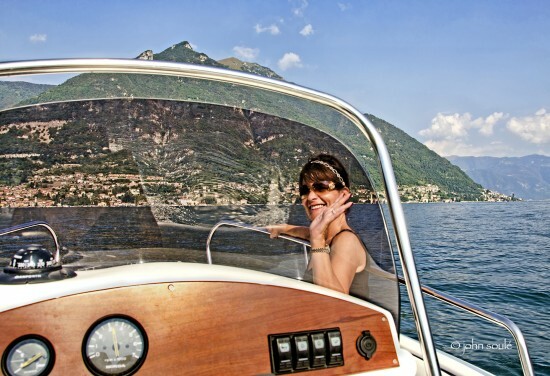 If you want to explore lakes, there is nothing more fun than renting a small motorboat for the morning or afternoon. You should plan on a minimum of three hours (about $300 USD + the cost of gasoline). The smaller class motorboats do not require any certifications for rental. If you drive a car, they pretty much just show you how to turn it on, make it go and then turn you loose on the lake. Make note of where you need to return the boat – after a while it all looks the same. The shots gained by this method of transportation can be amazing and you can get up close and personal to capture some beautiful villas and churches. Remember where you will want to be and how the lighting will be at that time of the day. If you are shooting the west side of the lake – do it in the morning. If you are shooting the east side of the lake, plan for late afternoon. 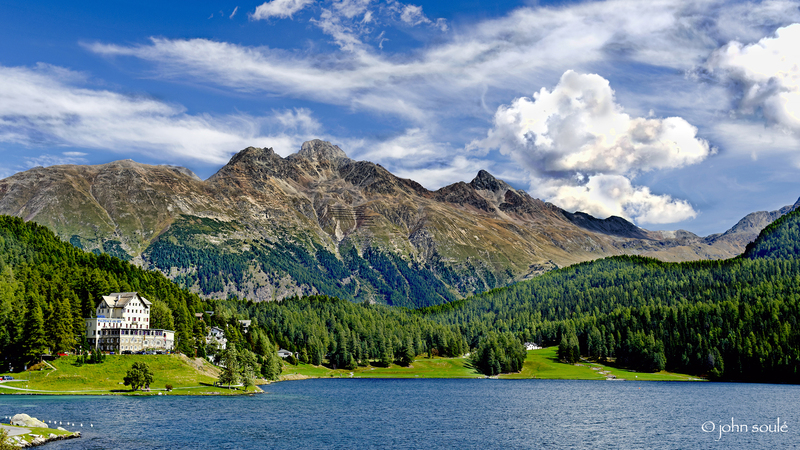 For memorial trips to Switzerland, either the Bernina Express or Glacier Express will take you on a winding scenic trip through the Alps. A trip to Switzerland’s St. Moritz can be done in a day (a very long day) as you are taken through the Swiss Alps from Tirano, Italy. 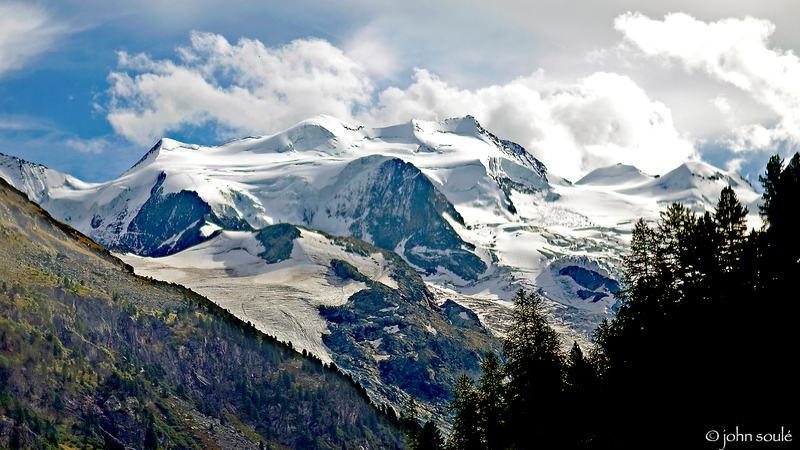 And no mater what the season, you will have some spectacular views of the Alps (often snow covered) and glacier feed lakes. If you have time, a trip on the Glacier Express to Zermatt to see the Matterhorn is without doubt a fantastic journey and one that has more iconic shots waiting than you can imagine. Definitely on my ‘bucket list’ for a future trip and a real blast in the winter. Seaplanes are available for tour by the 1/2 hour and fly over much of the lake regions. Also be sure that wing of the plane is above the seating position – otherwise you will get some nice shots of the wings and not much else. Do not use a Circular Polarizing (CP) filter. Using a CP filter will result in a rainbow effect from the glass that will adversely affect your image. 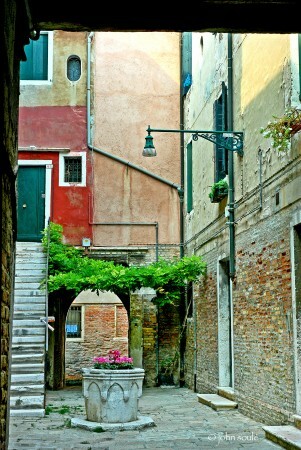 Northern Italy has a wealth of wonderful subject matter for the photographer. From historical architecture to beautiful landscapes there is much to consider. Once a subject has been selected, it is important to factor in the shooting location, angle and lighting. But what about renting a motorboat, or taking a sea plane? To get some of the more iconic shots, you often have to do a little extra work. And, you can have a lot of fun at the same time. But it does take a little planning. 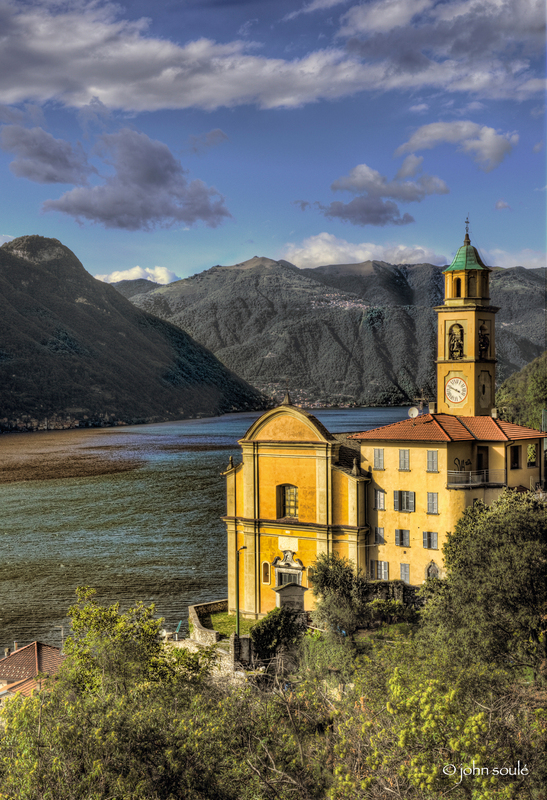 Lake Como is the most famous of the lakes in the northern area of Italy and is less than an hour’s drive from Milan. 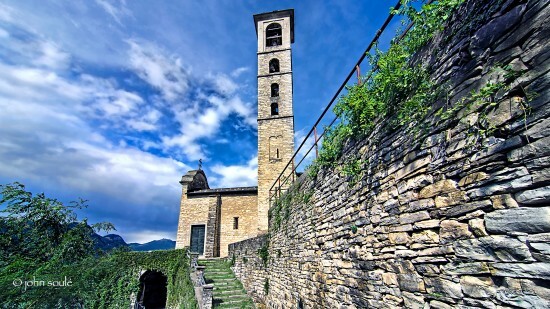 This popular destination, nestled in the Italian Alps surrounded by beautiful landscapes, is the home to friendly people, amazing history and good times just waiting to be discovered. You need to think about the sun’s location at the time of day you want to shoot. 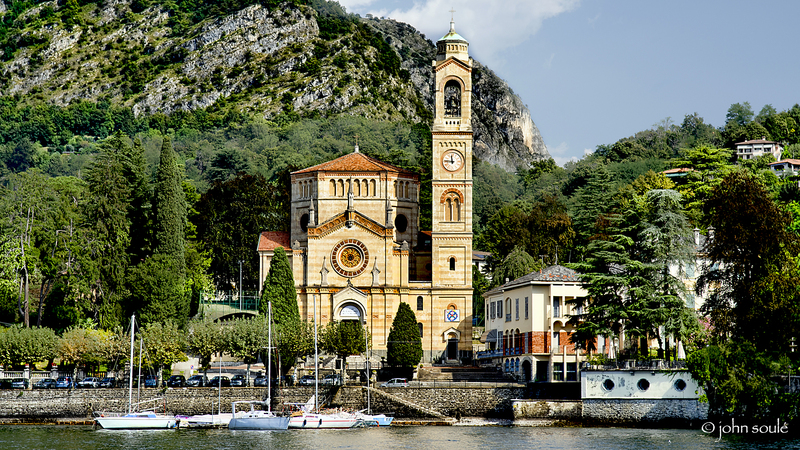 For Lake Como, you will want to be on the lake in the morning to get the best lighting of the west side and you would want to be on the lake in late afternoon for the east side. Renting boats can be done often at the last minute unless you are the height of summer. 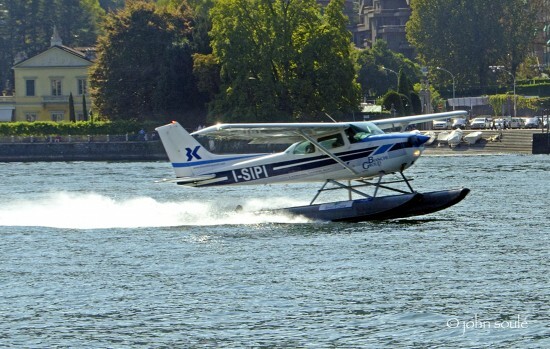 Seaplanes need to be booked a little more in advance and flights are very weather dependent. You will need to have alternate plans ready if necessary. If you are a Star Wars fan, you will want to visit Villa del Balbianello which was filmed there. The shot above was taken from a motorboat. Tours are offered throughout these villas which feature some wonderful gardens. There are many ancient cities throughout this region. 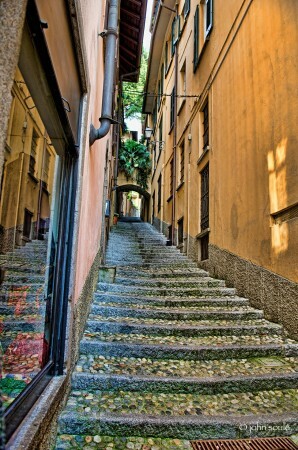 Bergamo is less than 35 miles east of Lake Como and consists of a modern city and the ancient hill town ‘Città alta’ or high city. Take the funicular to San Vigilio for some spectacular views of the town and surrounding country side. And if it is open, take a walk up to the castle. The best time is early morning or late evening to get the low sun to warm the image. If the weather cooperates, you may get some mist and/or clouds to help make this look like a village floating in the clouds. 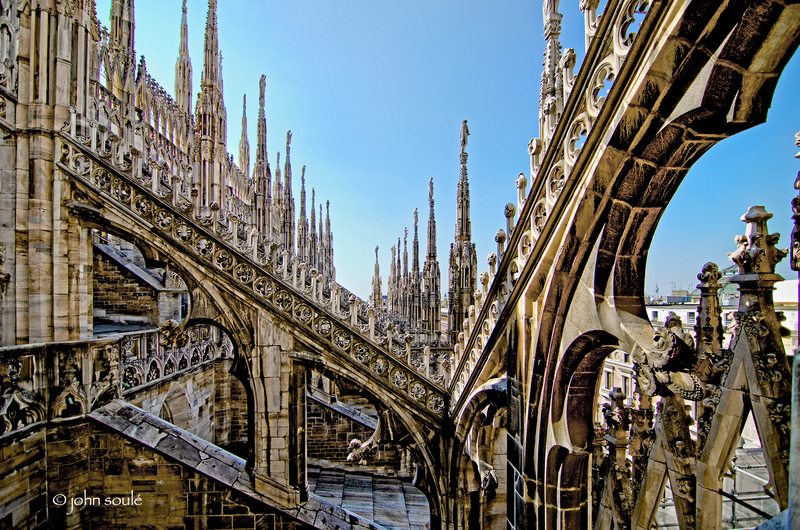 Think ‘out of the box’ – be sure to go the roof of the Milan Cathedral for some spectacular views and a closeup of the amazing detail in this architecture. Here you will want to capture natural angles and focus on the ornate designs that surround you. 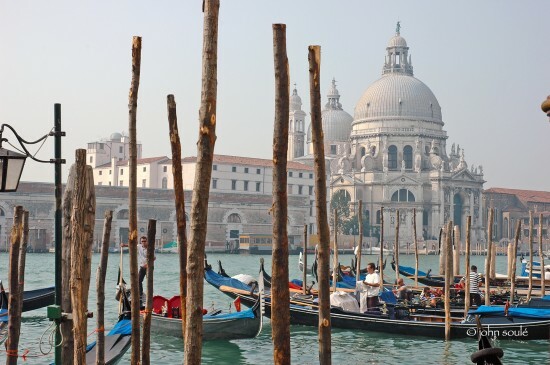 Venice, with its iconic canals and gondolas, is about 150 miles east of Milan and about 120 miles east of Bergamo and is easily accessible by plane, train or automobile. This is really an overnight stay, preferably longer. You will want to take early morning shots as well as evening shots for the sun to bring out some of wonderful colors and eliminate harsh shadows and contrast found later in mid-day. Venice seems to always be going through phases of construction so you may need to be creative in your shots to block out scaffolding and construction cranes. For an added touch of romance, try processing some of your shots in Black and White. When taking those ‘iconic’ shots of this unique area, remember to look all around for your best locations. 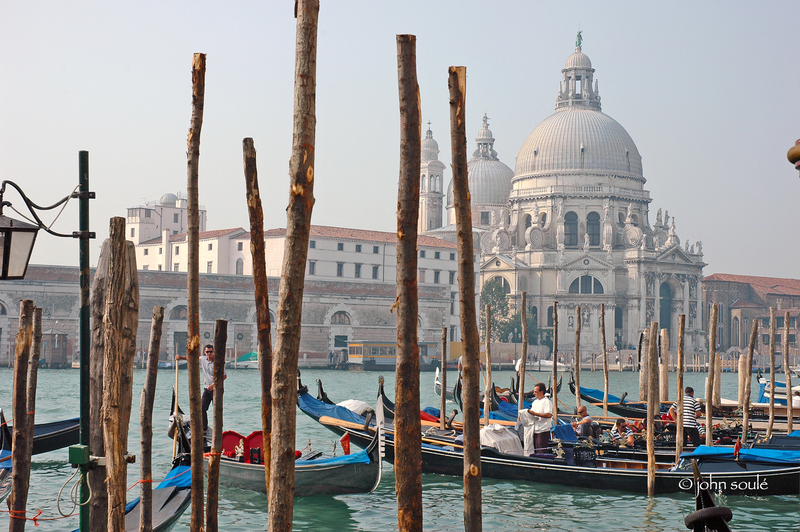 Shots of the canal and the gondolas are always classic winners. 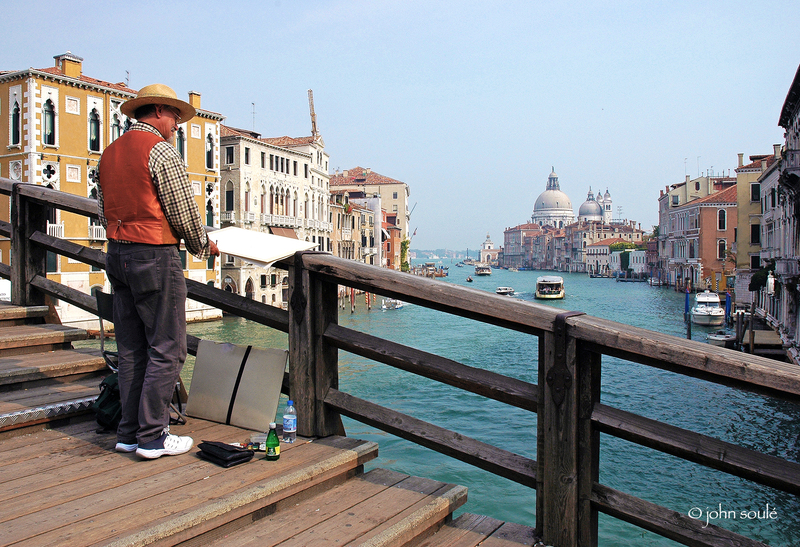 It is also good to look at the areas that are off the canals which can be quite good for subject matter as well. You will find wonderful shades of pastels as bolder colors seem to pop everywhere on walls and doors. Look for those ‘quiet’ corners and remember composition. And be sure to notice the locals that may add to your imagery and help tell a story. 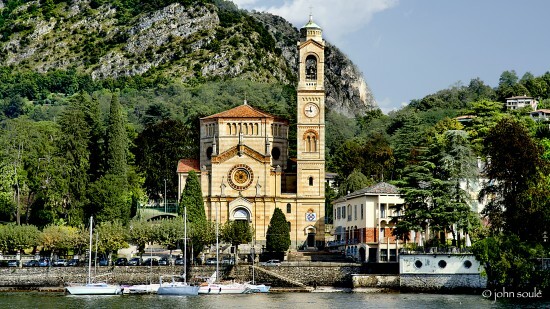 Less than 16 miles from Como lies Lake Lugano Switzerland, nestled between Lake Maggiore and Lake Como. This lovely area is partly in Switzerland and partly in Italy. 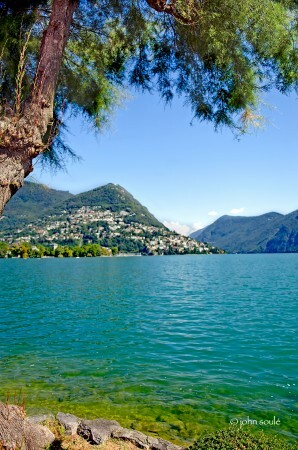 If you cannot make the train trip to Switzerland as discussed above, Lake Lugano is just a short drive from Como. Being as close to Italy as it is, you will find a strong influence of Italian culture throughout area mixed with ‘hints’ of the Swiss. 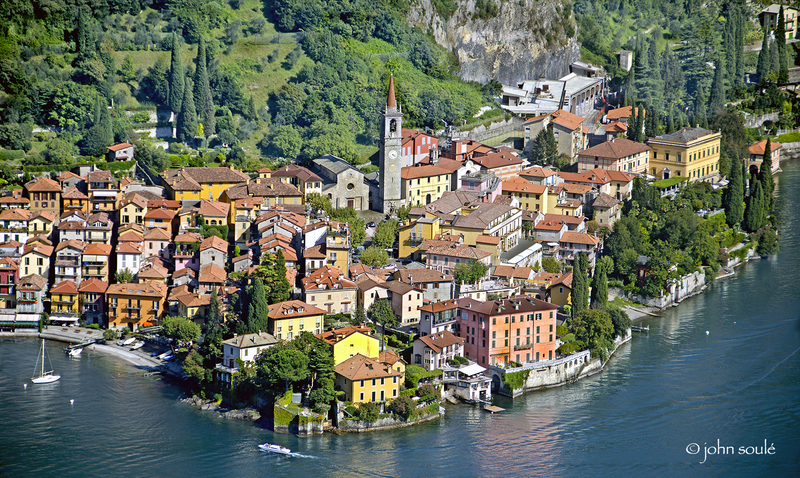 The photographer will want to take advantage of showcasing the clear waters and Venetian-style villages found clinging to its rugged shoreline. Be sure to take the funicular at Lugano for a great view of the surrounding area. I highly suggest that you Google the area you will be visiting to see what others may have discovered that made good subjects for them. You will get a good idea of what worked and didn’t work. I know I was able capture some interesting shots by just getting out and exploring, looking for interesting angles and playing with composition. I recommend carrying a wide/ultra-wide angle lens along with a walk-around lens as you explore the countryside. Be sure to try different angles, getting low and playing close attention to lighting. You may want to return at a different time of day to gain a more pleasing exposure. When using your ultra-wide, be sure to include some foreground to add perspective. Part of the charm of traveling includes dinning. Our villa was equipped with a full kitchen, so a trip to the local grocery store had us stocking up on some wonderful local wine, cheese and homemade treats for ad-hoc meals. The area around Lake Como has a number of wonderful restaurants. Fish is a large influence on the cooking here and many of the dishes are truly wonderful. In terms of photography, many of the dishes are not only delicious, but make great photographic subjects. Be sure to include the environment where possible to add to the image. 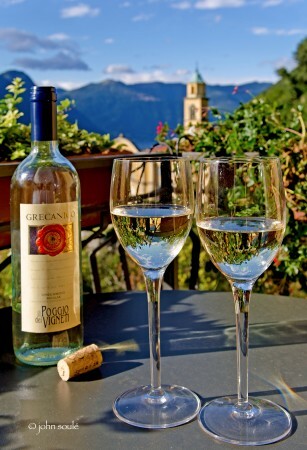 Take a quick tour of the wine cellar in Crotto Del Misto which dates back to the 1700’s. There are some great ‘old world’ shots of wine barrels and the like here. 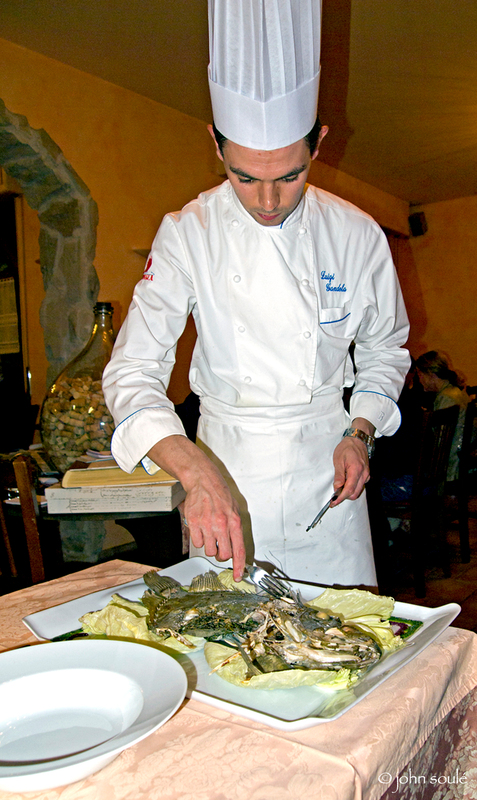 We also found Chef Luigi Gandola of the Salice Bleu restaurant in Bellagio a must to see. He will often personally come to your table and work his wonders. (a great photo opt). Ask if you can tour the kitchen to take a few shots of this ‘master’ at work. Chef Luigi is also known for his personal cooking classes. Reservations are a must. Whenever traveling, it is always a good rule to carry only what you will need. And for this reason, it is important to plan ahead and take into consideration your potential subjects and the potential lighting environment. Also, what is your output and audience going to be – family viewed 4×6’s or pro-grade prints for sale? This will help determine the minimum resolution you will need. 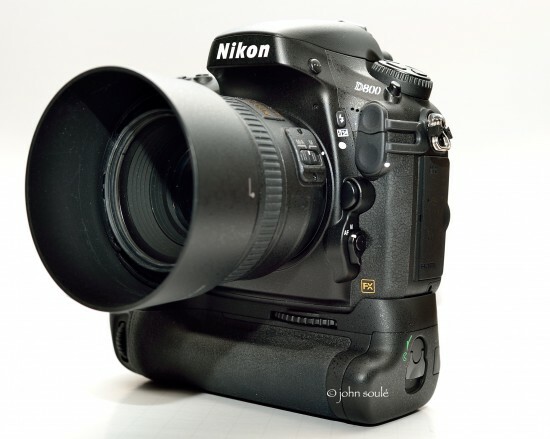 Do you intend on taking a wealth of high-end lenses or will you rely on the full-range zoom as your walk-around. Or will you carry a combination of both? If you own two camera bodies, will you take both or rely on just one? Is video important? Will you carry a tripod? What about filters? What about a backup system for your memory cards? How will you carry your gear – shoulder bag, backpack, strap around your neck, etc.? There are many considerations that must be taken into account. Here are a few suggestions from my experience. I also carry a backup unit and do not reuse my memory cards during the trip. Each day I load a new card (16gig with 16gig backup) and run a format on the card. At the end of the day, the cards are backed up and stored in a separate location from my other camera gear. I generally pack in my ‘checked’ luggage a travel tripod that weights less than 4 pounds and folds to less than 17″. Benro, Giottos, Gitzo, Manfrotto and others make nice tripods with ball heads that fit this category very well. If the money is there, carbon fiber is great for travel. Beware that if your tripod is packed in your carry-on, and your legs have spike, some TSA officials will not allow it to be carried on the plane. I generally carry two bags – a backpack (be sure to have one that will fit under the seat of your plane and a smaller shoulder bag. I store all my gear in backpack and transfer only what I need into the shoulder bag. 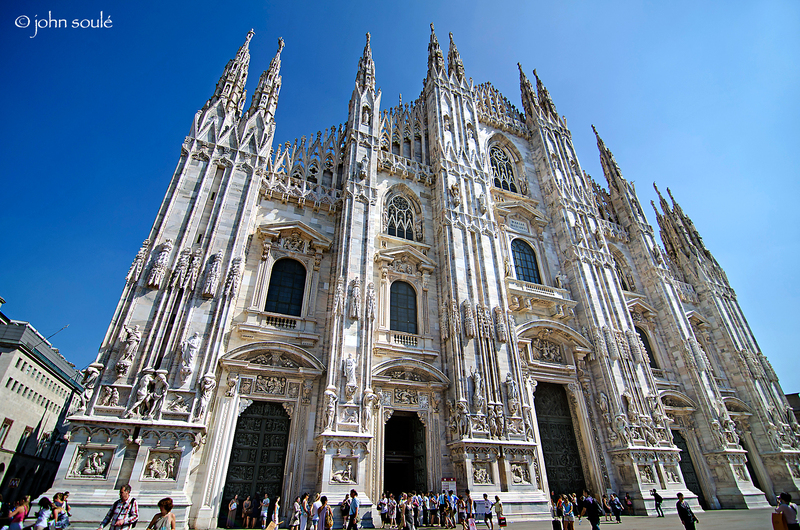 Ihope this has helped you as a photographer in some way if you plan to travel to Northern Italy. Look for future articles to include Central Italy, Southern Italy and Greece. For additional travel images, please see myImagez.com and go to Galleries and then Travel. Or click here. John is from the Baltimore/Washington DC area and has been in photography and photojournalism since the mid-1960s. John was nominated 'Best Photographer of the Year 2010, 2011 and 2012' by a panel of judges for Photos2Win. Selections from some of his work in the United States and around the world can be viewed here.